RBI vs Govt: Will the Centre have its way by invoking an 83-year-old rule? The relation between the Reserve Bank and the government is akin to that of 'husband and wife', former Prime Minister Manmohan Singh once famously said but that bond turned sour in 2018, leading to unprecedented episodes that culminated in the abrupt resignation of Urjit Patel as the governor. Differences between the Centre and the RBI over easing of lending restrictions for certain sectors and the appropriate size of reserves to be maintained by the central bank, among other issues, spilled out. It was further aggravated when deputy governor Viral Acharya spoke of maintaining autonomy and independence of the central bank. 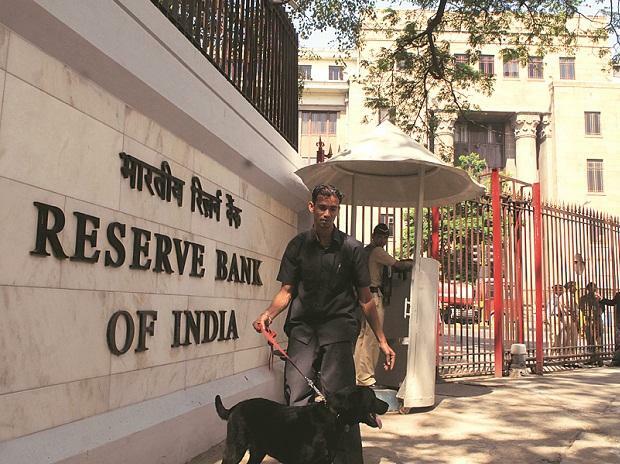 It soon unravelled that the government had cited a never-used-before provision of the RBI Act to get the central bank to discuss issues it considered of public importance. This seemed to have been the culmination of a series of events that began with the government getting persons considered close to its ideology being appointed as directors on the RBI's central board. Swadeshi ideologue S Gurumurthy vigorously pushed the government's cause especially with regard to taking a more liberal view on issues such as reserves the central bank must maintain. Soon enough there was speculation that the then Governor Patel would resign but he chose to stay on to see if there was a resolution and quit when there wasn't a common ground found even over names of an expert committee the RBI and government had agreed to constitute to look into appropriate size of reserves the central bank must maintain. The government quickly moved in and appointed a former bureaucrat who from day one showed a willingness to consider all issues on the table and take a more consultative approach rather than being a confrontationalist. Winds of changes are already visible at Mint Street as Shaktikanta Das has held at least three consultations with bankers over different issues, a trend which was a rarity during Patel's tenure. Many blamed the pressure brought by the government on the central bank to ease lending restrictions and release more of its capital to bolster the economy for Patel's resignation. Patel became the first since post economic liberalisation in 1991 to resign as the RBI governor. In independent India, the first governor to resign was Benegal Rama Rau in 1955 during the tenure of the Jawaharlal Nehru government. Indira Gandhi got S Jagannathan to resign after he refused to give an enhanced loan to Maruti in 1975. During Chandra Shekhar government (1990), R N Malhotra had to resign due to differences with the government. Patel was hand-picked by the BJP-led government after his predecessor Raghuram Rajan was denied a second-term. A Kenyan national who acquired Indian citizenship prior to being appointed as Deputy Governor of the RBI in January 2013, Oxford-trained Patel was initially seen as toeing government line after he backed the November 2016 shock decision to overnight junk 86 per cent of the currency in circulation. Since then, he was seen waging a war to get the struggling banking system in order and punish defaulting borrowers. The genesis of differences between the RBI and the government was one-day default norms announced by the central bank on February 12, 2018. The RBI aligned the revised norms with the Insolvency and Bankruptcy Code (IBC) as it also recognised the one-day default norms. According to the RBI, the revised framework tried to reduce the arbitrage the borrowers are currently enjoying while raising funds through borrowing from banks vis-a-vis from the capital markets. Besides, there were some disagreements on weak bank norms, Prompt Corrective Action (PCA). Of 21 public sector banks, 11 are under PCA framework due to declining profit and rising bad loans. The government wanted the RBI to align its PCA framework with global norms, which recognises only slippage on capital to risk weighted assets ratio. The differences came out in the open when Deputy Governor Acharya, in a hard-hitting speech in October, talked about the independence of the central bank, arguing that any compromise could be "potentially catastrophic" for the economy. Subsequently, Economic Affairs Seceretary Subhash Chandra Garg and government nominee on the Board took an apparent dig at Acharya's 'wrath of financial markets' comment in a tweet saying vital indicators of the economy were showing improvement. "The autonomy for the central bank, within the framework of the RBI Act, is an essential and accepted governance requirement. Government of India has nurtured and respected this," the finance ministry said in a statement. However, there was truce on two issues, including with regard to reserves. It was agreed that an expert panel to examine the Economic Capital Framework (ECF) of RBI in its central board meeting on November 19. The RBI, while deciding to retain the CRAR at 9 per cent, agreed to extend the transition period for implementing the last tranche of 0.625 per cent under the Capital Conservation Buffer (CCB), by one year, up to March 31, 2020. Despite reaching some common ground on contentious issues, Patel in a surprise move resigned on December 10 leaving government perplexed. Acting swiftly, the government very next day, appointed former Economic Affairs Secretary Shaktikanta Das as the 25th Governor of the RBI. This time government preferred a bureaucrat over an economist after tryst with two economists as head of the central bank. Considered an efficient implementer and a team player, Das may be the right man in the RBI amid tensions with the finance ministry over governance and autonomy issues. Das, a 1980 batch IAS officer of the Tamil Nadu cadre has worked in economic and finance departments in the state and the centre during his 37-year-long tenure like other previous governors Y V Reddy and D Subbarao who also moved from North Block to the Mint Street.